Many teenagers and even mature people like to manifest their world outlook with the help of uncommon accessories. We mean the alternative clothes now. However, the stores selling such things should have a nontrivial design. This dark odd layout will meet all your requirements, no matter how picky you are. It will draw users' attention by the artistic photos and creepy fonts. 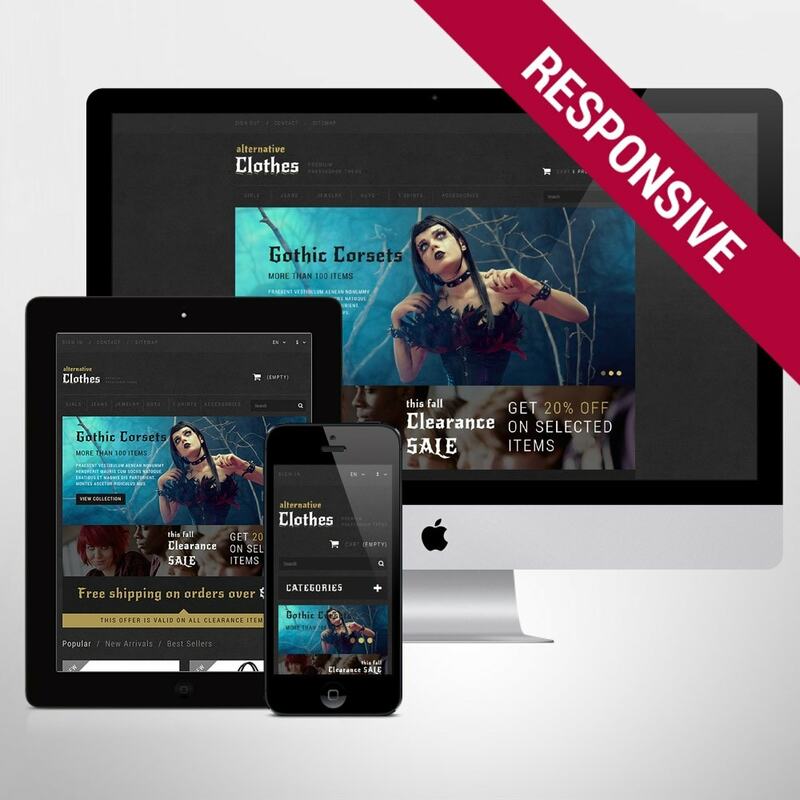 Please note that the designer didn't forget about website's convenience and usability. 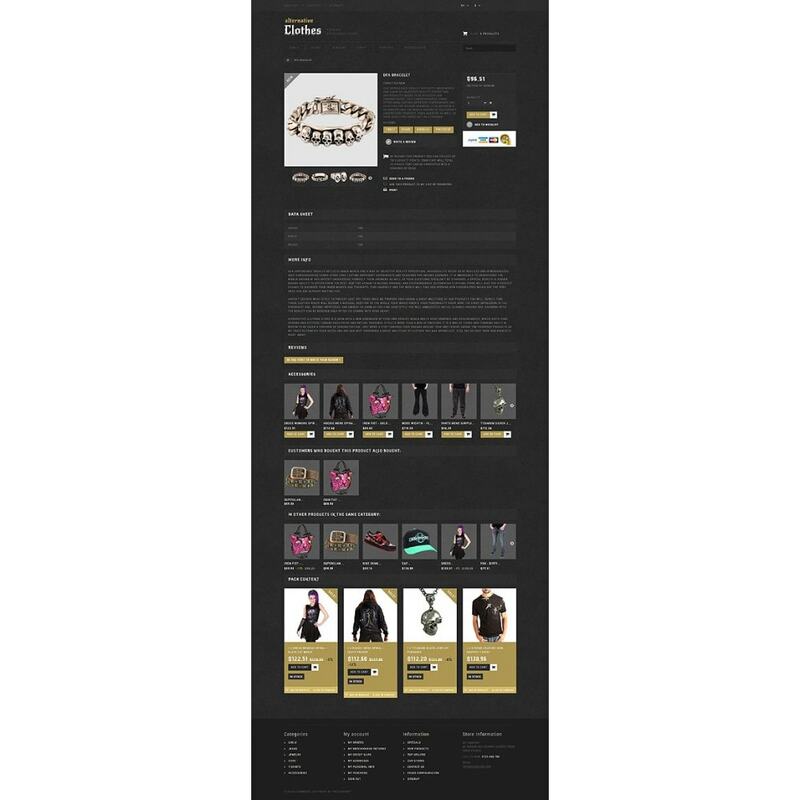 The navigation is simple and product presentation works well. Are you still hesitating? We are sure, this template is a perfect fit for you. 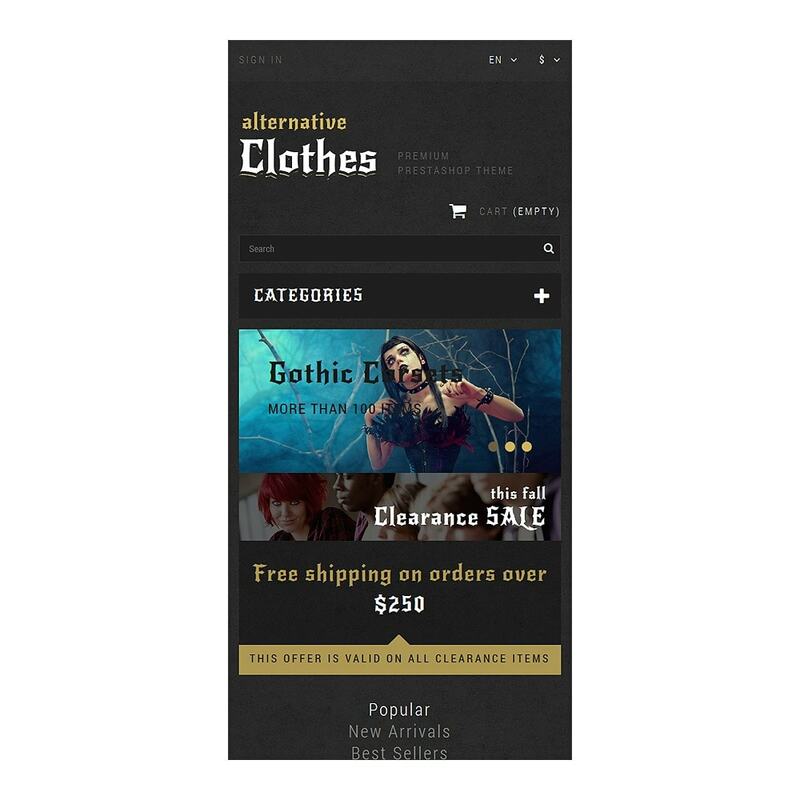 The theme was created for alternative, gothic, rock clothing and accessories stores.